These cars are suitable to turn into a bed for the night too. 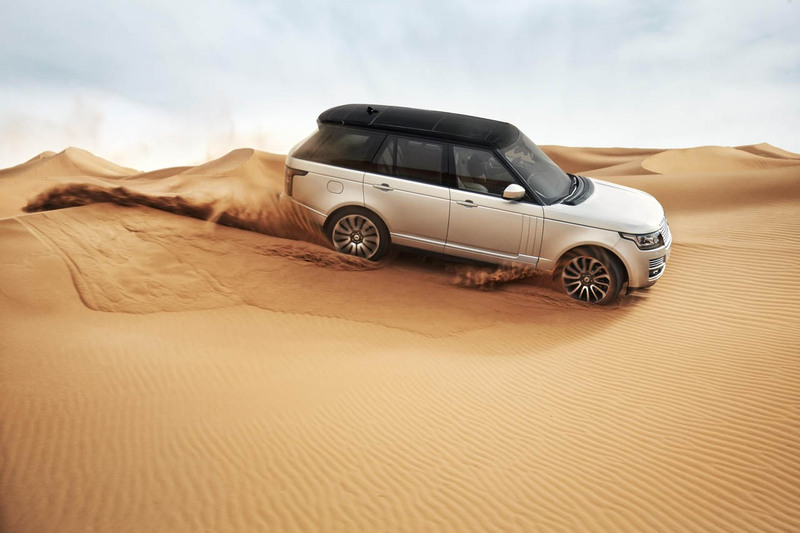 Do you tend to drift off-road on your adventures? If so, the Range Rover could be the one for you. Adjustable air suspension allows even the most luxurious Land Rover to clear above rocks which might otherwise damage the underside of the car, while a wading depth of 90cm should make the occasional river crossing stress-free. Go for the 3.0-litre turbodiesel V6 engine which boasts the torque to scale for the most intimidating of inclines. The Galaxy is larger and more practical than ever before — a great addition to the Ford range. If your family extends beyond the average 2.4 children, or if you just prefer more space, then you need a car that not only has enough room to seat everyone but also has enough room for the tent, bags and multiple essentials – a bit of a tall order. Step forward the seven-seater Galaxy – it could be just what you are looking for. This exceptional people carrier has flexible seating with the Easyfold system meaning that you can effortlessly fold each second-row seat flat at the touch of a button. Powerfold also makes loading heavy items a little less time consuming with its automatic third row lowering and raising setting. For a practical and unforgettable camping trip, a Volvo should be at the forefront of your consideration set! Over the years the Swedish giants have produced many models that are ideally suited to exploring the outdoors. The new Volvo V90 continues this long-standing tradition in some style. Featuring cutting edge tech such as Large Animal Detection and Run-off Road Mitigation, the V90 is built for these environments. The handy collapsible back row with two stage child safety seats, offer peace of mind when travelling long distances with younger children. And, of course, it wouldn’t be a Volvo without a cavernous boot. Perfect for loading up on those trip essentials. Just don’t forget to pack the sleeping bags! Are you always on the hunt for adventure? If you fancy a bit of bushcraft à la Ray Mears, then the Nissan X-Trail makes an ideal travelling companion. Load up the bikes, kayak and even the family dog. The five rearmost of the Nissan X-Trail’s seven seats can fold flat into the floor when not in use, making it perfect for throwing an air mattress in the back for a night’s sleep. Once day breaks and you want to get on the road again, you can do so in a smooth-riding, well-built, economical SUV. A win-win for everyone. The journey on a trip can be equally important as that end destination. For that purpose, the Volkswagen Touareg is one of the best 4X4 for staycationing. With those Volkswagen credentials it’s reliable of course – important on those coast to coast overnight journeys – and luxurious too. It has an impressive engine and permanent four-wheel drive so it won’t let you down when you’re parking on ground that’s less than terra firma. So, there you have it — the top cars for camping. If outside is your new inside, pop into your local Lookers dealership today and test drive any of these great cars.